POC can, should, and will tell their stories. I am thrilled they do because I get to learn about fabulous people like Josephine Baker. Tymisha Harris sings and dances her way through the stories that explain how Baker rose to fame in Paris despite being despised in her native America, not only as a Black woman but a “red” fighting for social justice. You will laugh at Harris’ portrayal of Baker’s nonchalant attitude towards the many husbands she, practically, collects along the way. Other times, her pensive ballads leave you breathless, lost in the sadness of someone who yearns to find home – wherever it may be. All in all, amongst the highs and lows (and what seems like dozens of costumes) Harris doesn’t skip a single beat. In fact, her energy radiates even from backstage and behind folding screens where she continues to embody her character while changing outfits and delivering tasteful stripteases. 100% entertainment. Deservingly, the show made it to off-Broadway earlier this year. Don’t miss it! Captivating musical shows are in good company at this year’s Toronto Fringe. Like #kanderandebb, Josephine, and ANDY WARHOL, The Pansy Craze delivers novel subject matter through song and dance.Pansies aka faggots / homosexuals / (insert derogatory term) were obviously not so visible during prohibition. 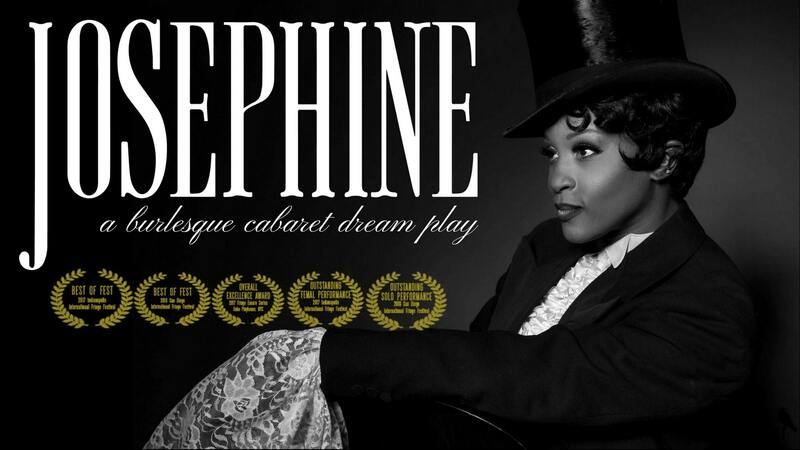 This new musical explores their brush with acceptance among the elite patrons of the speakeasies that would host these queer performers on stage (often in their homes) putting them doubly at risk of being raided by the authorities. Today, we often take for granted being queer, trans, or non-binary with relatively lower risk – at least in our part of the world. But this show captures the fear, the disagreements, the struggle, and the insistence of living such a life in the 1930s. After all, pansies might seem like a delicate flower on the outside, but are just as hardy and varied as they are colourful. Avery Jean Brennan has crafted a mixture of light-hearted and thought-provoking numbers, alongside a well-defined narrative. The characters try and sing their way to their truths, especially Jeanie (Devin Herbert) who steals our hearts as the black sheep who bravely demands to live openly despite everyone’s complete opposition. Just like today, even when we are said to be free, we often have to fight ourselves the most. Seeing something rooted in a different era offered a whole new perspective on how we define ourselves when what we see in the mirror is anything but “status quo” or “normal.” Other notable performances by Peter Mundell who interprets the deep suppression of Norbert so well, with perfectly timed glimpses into the character’s true feelings, and Eric McDace who mixes the stubbornness of the show business director, Duncan, with dashes of vulnerability as he tries to understand the feelings he may or may not have for the women around him. Nicolas Royer-Artuso’s solo show gets you thinking. It’s political. It’s abstract. It turns theoretical material on its head. Stuff I love. He begins by informing us he will be talking about his personal academic journey. His thesis specifically focuses on the piece 4’33” by late American avant-garde composer and theorist John Cage. The show is particularly informative for someone who knows nothing about experimental modern music. However, for most of it, I believed the subject matter to be fictitious since the framework here appeared to be somewhere between a dark comedy and theatre of the absurd. Further, what should one think given that Artuso promises – “as advertised” – an academic “striptease” and, indeed, dances awkwardly as a way of transitioning between lecture topics, while taking off items of clothing? Luckily only accessories and pants come off, or we would be even more confused at the purpose of his talk. The composition 4’33” – performed with no instruments for it’s entire duration – is debatably silent, or gives voice to the impulses and “happenings” – an art form coined by Cage – of the space around us. As such this show gains some momentum when Artuso dives into a comparative analysis of the song in war-torn Baghdad and other environments that American’s have conquered. He plays videos of explosions, which effectively put the spotlight on what war sounds like when we take away the privileged gaze of the outsider or intellectual. Our inaction towards atrocities is implied to be equivalent to “silence” in music. While the concept of the show and the commentary on academia’s aesthetics is intriguing, I am not sure why I should be invested in the material. Am I to feel guilt? Or do I simply appreciate the sarcastic punches aimed at the avant-garde? Can’t Wait Productions presents its first piece, "Oleanna"